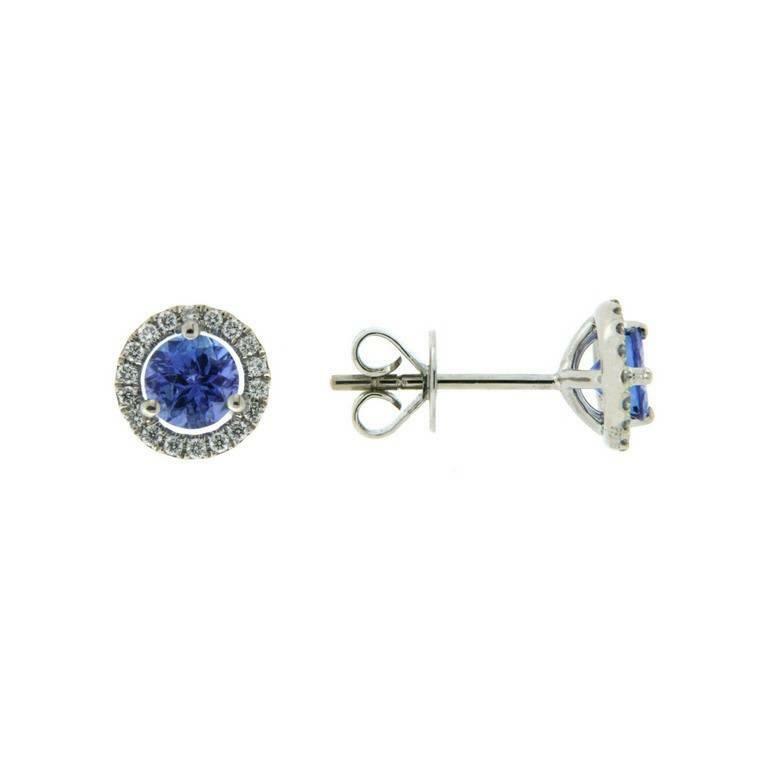 Beautiful tanzanite and diamond halo stud earrings of classic styling and crafted in 18k white gold. They are set with two brilliant cut, genuine tanzanites in four-claw settings. These tanzanites are surrounded by a slim, micro pave set round brilliant cut diamond halo.